Outback Steakhouse is offering a and use this coupon. This coupon is valid through August 19, 2014. Fine Print: Valid for dinner, dine-in or Curbside Take-Away at participating Outback Steakhouse locations (not valid for lunch). Offer valid with coupon only. One Free Kid’s Meal with each purchase of an adult dinner entrée (Limit 2 free Kids Meals per coupon, per visit). Offer valid for kids ages 10 years and under. Looking for more Kids Eat Free deals? Be sure to check out the HUGE list of Kid’s Eat Free (and Almost Free) Deals. There’s a new available good for one free Kid’s Meal for every adult entree purchased. this weekend! You can get one free Kid’s Plate for every $8 spent. Chili’s is offering another . This coupon is valid for one free kid’s meal for adult entree purchased and is valid through October 16, 2013. 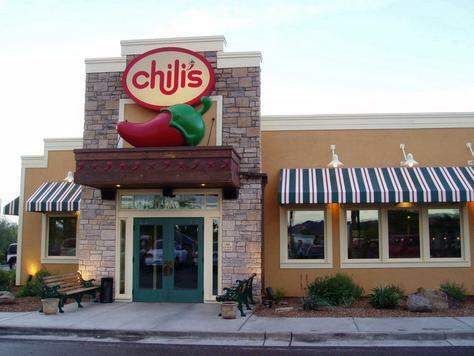 Chili’s is offering another . This coupon is valid for one free kid’s meal for adult entree purchased and is valid through October 2, 2013. Get a with the purchase of any Individual Meal. You must present when ordering. This coupon is good through September 9, 2013. One coupon per customer, per transaction, per visit. The coupon isn’t valid with any other limited time or special offers, coupons, or reduced price offers.